The gas safety regulation 1994 came into effect October 1994, to ensure that gas appliances are properly installed and maintained in a safe condition as to avoid the risk of carbon monoxide poisoning. The landlord is responsible to all properties which they own and have a gas supply, to be checked annually by a member of the council of registered gas installers – CORGI. It is the duty o the landlord to ensure that all electrical appliances and installations in a let property are safe. Periodic inspections and certificates issued is a recommendation to avoid landlords facing prosecution with penalties of imprisonment or fines up to £5000. All upholstered furniture made after 1950 is included within these regulations. All furniture must be fire resistant and should carry a permanent label to this effect. Any furnishings not labelled as fire resistant must be removed prior to a tenancy commencement date. 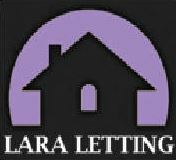 There are heavy penalties for landlords that do not comply, which include a maximum of six months imprisonment and a fine up to £5000.